After having the Panini at Animal Orchestra and making our very own version of Champagne Ham & Cheese Panini we have fallen in love with it. 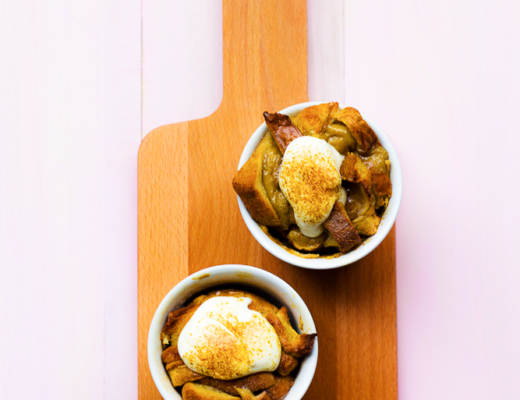 During the month of spring with all the rain and wind, all we need is some comfort food. 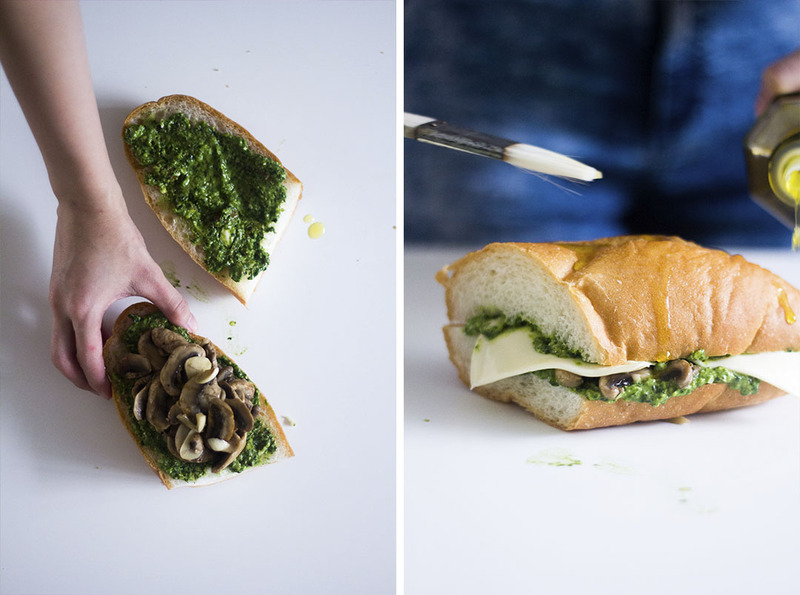 Thus we decided to recreate the Panini again and this time in mushroom flavor. 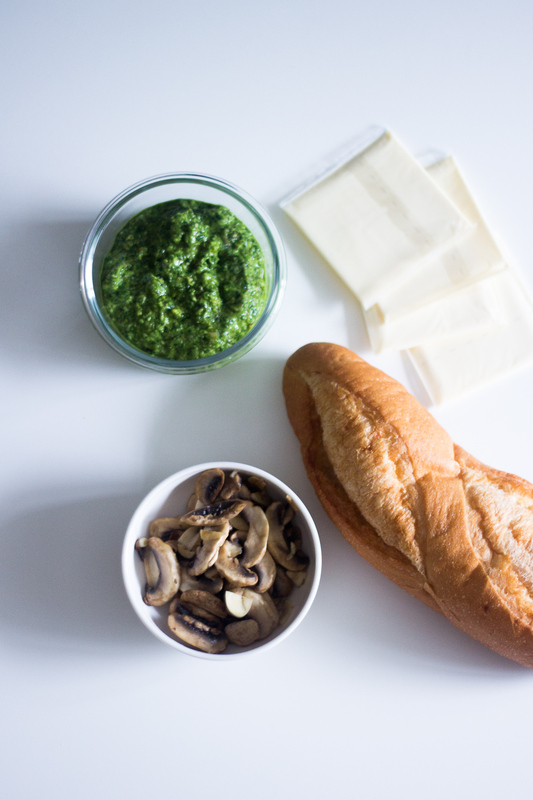 This time we made our version of Walnut Basil Pesto as we believed the best food comes from fresh ingredients. You must be thinking we waste time making them when you can buy it. I can promise you it is different! 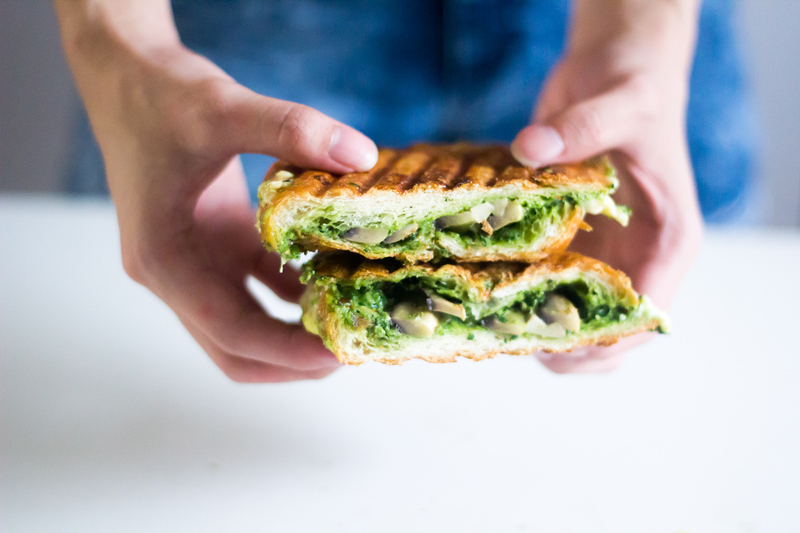 With the homemade pesto, this panini tastes nuttier than the previous one we made. 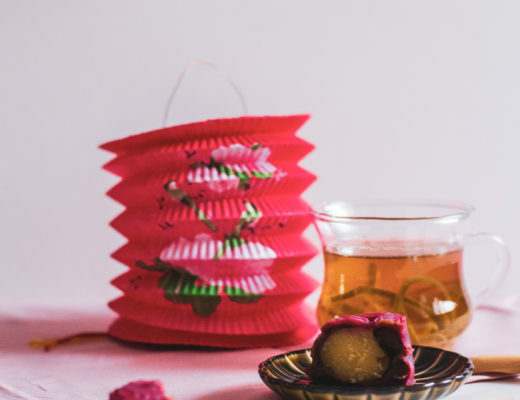 We are loving this much as even bites you will taste the juicy mushroom and chunky nut at the same time. Having it with the caramelized onion, mushroom, and Swiss melt it was heaven! 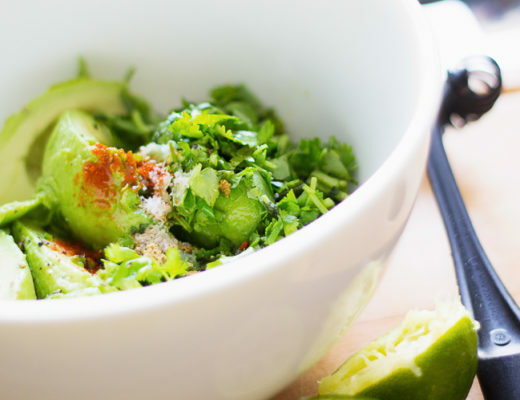 Moreover, this would be a great lunch option or a delicious dinner with a soup on the side! Omg, yes! With much experience in making them, we don’t make our mistake like last time. Moreover, we discovered more tips for it. When using the toaster oven, and you are worried about cheese oozing out onto your toaster oven’s heating element (the burnt cheese smells horrible), then place on a baking sheet. Toast for 3 minutes, then flip over and toast 1 minute more. 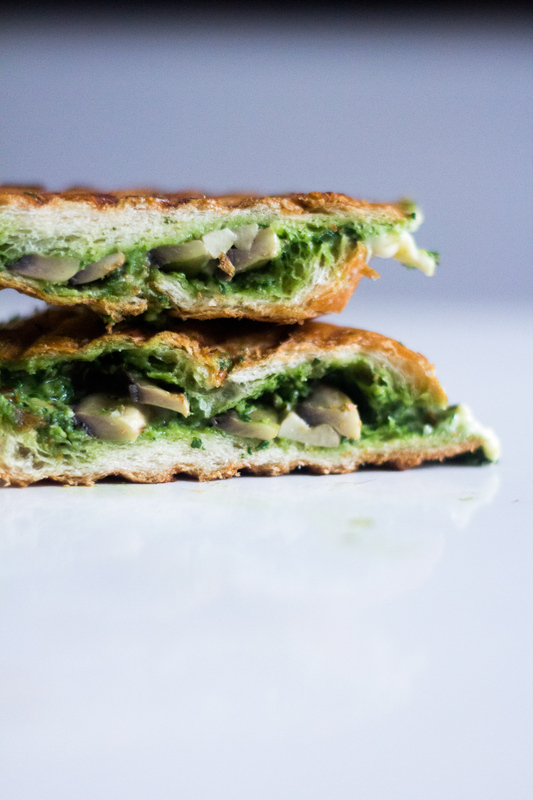 You can also make this on a panini grill. Advance preparation: You can assemble this sandwich and wrap it tightly in plastic wrap. Refrigerate for up to a day. Toast when ready. Preheat oven to 200 C. Line a baking sheet with parchment. 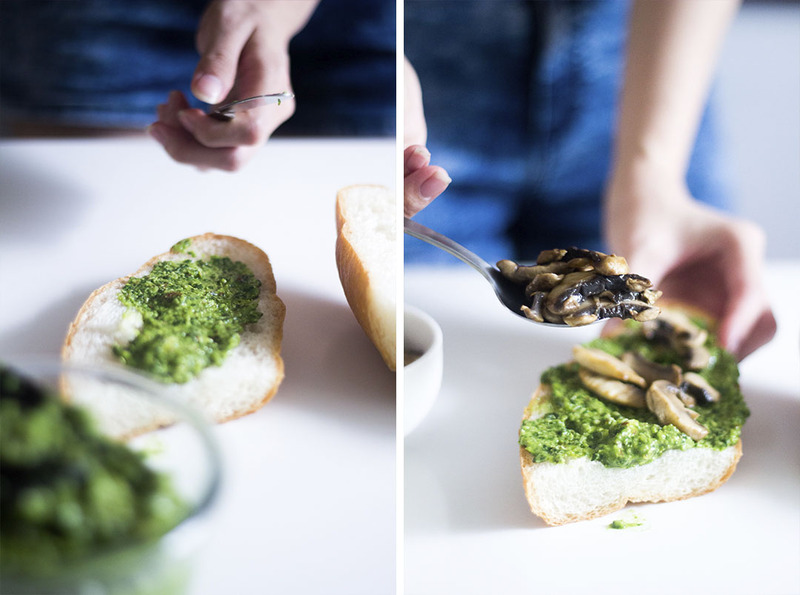 Toss mushrooms with 2 tablespoons of the olive oil and thyme leaves and spread in an even layer on the baking sheet. Place in oven and roast for 15 to 20 minutes, stirring halfway through, or until mushrooms are bubbling and moist. Remove from heat and season with salt and pepper. If desired, rub one side of each slice of bread with the cut clove of garlic. Sprinkle 2 tablespoons of the cheese over 1 of the slices (on the side you rubbed with garlic). Top with half the mushrooms (use the other half for another sandwich or another recipe). Sprinkle chives over the mushrooms and top with a handful of arugula and remaining cheese. Top with remaining slice of bread (garlic-rubbed side down) and press down firmly. Drizzle remaining olive oil over top slice. Glazed it with olive oil, grilled it on the pan with a pot press down firmly on top. Grilled it for 3 minutes and flip and do the same on the other side. Hope you try some of these bad boys! Share with us your version! Take a photo of yours, send us an email, tag us on Instagram, tweet us, anything. We love to see yours! Two sisters inspired and sharing ideas through their daily life.